Koger Cosmetic Clinic & Medspa offers clinical facials for men and women in Palm Beach County, including West Palm Beach, Vero Beach, Wellington, and the surrounding areas of Florida. Facials are cosmetic procedures that have been outlined by our remarkable team and are intended to offer clients unique procedures tailored just for them. Unlike other medspas, we choose not to burden our clients with a long and complicated menu of facials. Instead, our talented aestheticians, with your help, will create a therapeutic facial treatment that will rejuvenate and restore your skin. We offer our KogeRx customized facial and iS Clinical® Fire & Ice Facial. Both are very popular choices among our patients and are highly effective in revealing softer, healthy-looking skin. KogeRx Customized Facial – This program is designed to help patients sit back, relax and enjoy exactly the treatment they need. This remarkable facial treatment is orchestrated by our expert aestheticians and includes all the bells and whistles that may be needed to help you achieve your desired result. During your consultation, the aesthetician will analyze your skin and document all details and listen to your expectations. From there, they will hand-select the appropriate products and tools that will best help you attain radiant, blemish-free skin. Some of the perks include steam, extractions, peels, and massage. iS Clinical® Fire & Ice Facial – This highly revered and popular facial treatment involves the use of two masks that help to refresh and restore the skin. The “fire” and “ice” refers to the use of cinnamon and peppermint to respectively warm up and cool the skin. The therapy uses a variety of beneficial, natural ingredients that are effective in encouraging cellular rebuilding, which helps soften skin and reduce the appearance of wrinkles and other skin blemishes. Achieve the results of a chemical peel without any of the recovery time. Facials are unique to the Koger Cosmetic Clinic & Medspa and cannot be found anywhere else. 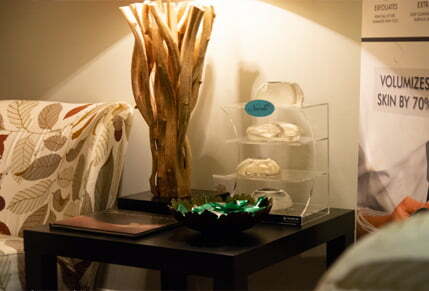 We offer an extensive level of care and attention to help patients truly enjoy their visit to our medspa. Patients who wish to resurface the skin without any of the damaging or irritating effects of chemicals should consider a facial. Our team of skilled professionals is knowledgeable in a wide variety of skin care products and therapies and will help you achieve smoother, more youthful skin. Men and women who are unhappy with the appearance of impurities and blemishes on their face, neck, chest or hands can be considered a good candidate for facials. After your treatment, you will be given an informative list of after-care instructions. While there is no recovery period required, you will be responsible for tending to your skin to ensure it remains healthy and vibrant. After your facial, your skin may be a little tender. Is it important to use a sunscreen with at least SPF 30 and avoid any sunlight for at least two weeks. The doctor will advise you on any special guidelines you may be required to follow. Results will start to become visible immediately after the procedure and will continue to develop over time. 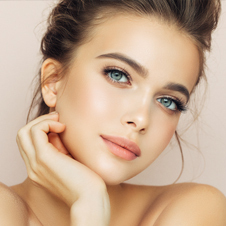 The facials and other cosmetic procedures offered at Koger Cosmetic Clinic & Medspa are personalized for each individual client, so the cost will vary depending on the products and treatments required. Learn more about our financing options. Dr. Koger is a board-certified plastic surgeon who offers clinical facials for residents of West Palm Beach, Vero Beach, Wellington, and the surrounding areas of Palm Beach County. Contact us to schedule a consultation.